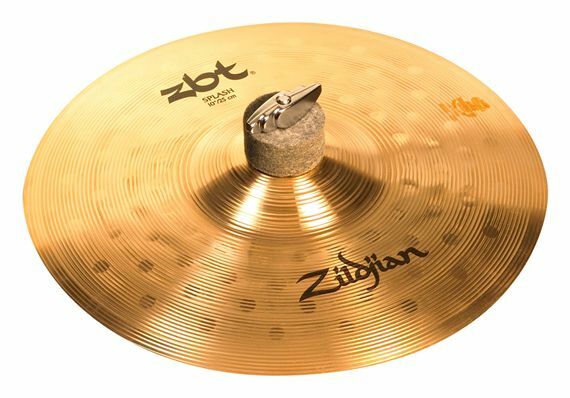 Order your Zildjian ZBT Splash Cymbal from AMS and enjoy Fast & Free Shipping. Get the Best Deal with our Lowest Price Guarantee & Great Customer Service! The Zildjian ZBT Splash is bright, fast and cutting. Like the rest of the ZBT family, this cymbal delivers maximum performance and maximum value. This is the ideal first Splash. Start Here. Go Anywhere Don't let price stand between you and a sensational sounding set of cymbals. Revolutionary new manufacturing techniques developed by the Zildjian Sound Lab release a fast, bright, high-volume sound from the power-packed ZBT alloy. They make an ideal first set of Zildjians for any school marching and concert band. I love the splash this makes. Very nice splash. Love Zildjian.